* We GUARANTEE Your New Soles To Stay On Until You Wear Them Out! A Two working days once we receive your boots to complete the resoleing.Shipping back to you usally 1-5 days depending where in the country you live.We ship ground from southern California. Q Only one of my boots is worn out, can I get just one resoled? A Sorry! 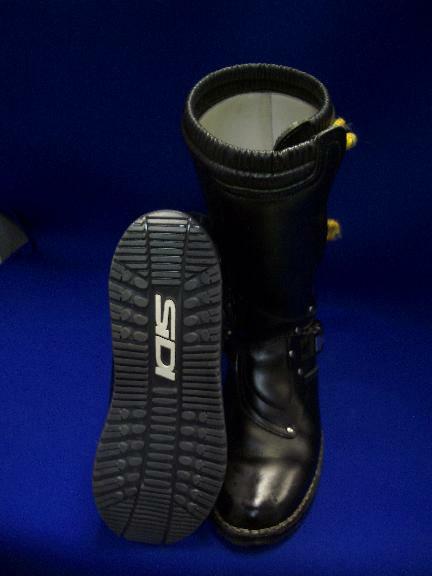 We receive the soles in pairs therefore we can only resole a pair of boots. 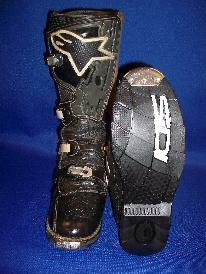 Q My boots are "Alpinestar" can you put "Alpinestar" soles on? Q Can you fix a blown out seam when you resole them? A Yes, if you mark the seam with a peice of contrasting tape we will restitch that area while your boots are being resoled. Q How should I send my boots to you? A There are many options; UPS, Postal Service,Fed X ground & DHL ground are the popular ones we see. Q Prices and availability vary depending on where you are sending them from.UPS seems consistent on pricing.U.S. Postal(USPS) sometimes is a value sometimes very high.Fed X ground looks promising as does DHL ground.Best to shop it or ask your local shipping store. Q How long will my new soles last? 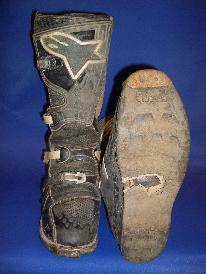 A Wear varies alot among riders.Many factors can affect wear,size of rider size of bike how agressive the rider is,sharpness of peg's are some of factors affecting sole wear.Most of our customers comming from "Alpinestar" soles report two to three time the life of their old soles. 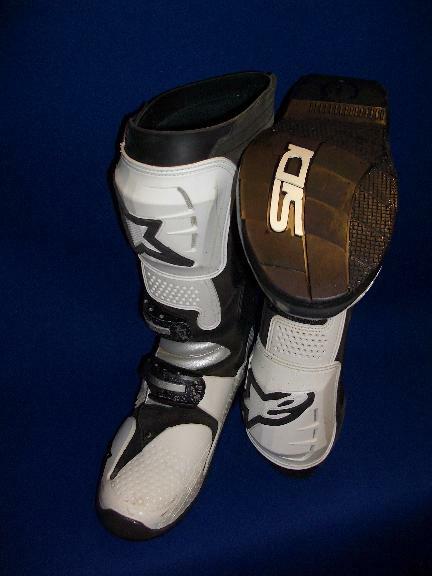 Alpinestar,Tech 8 & Tech 10 are trademarks of Alpinestar. 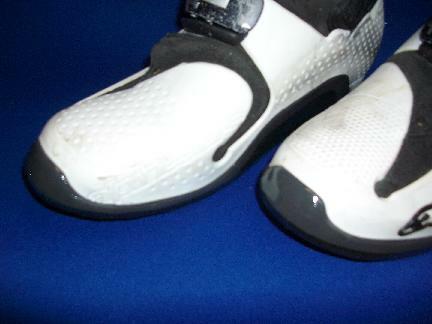 Sidi is a trademark of Sidi. Combat Touring Boot is a trademark of Aerostich. Any and all reference to these trademarks is for descriptive purpose only.